I’ve made a lot of recipes over the years. Some recipes are good enough to come back to and make again. Others have been forgotten or are simply not worth repeating a second time. 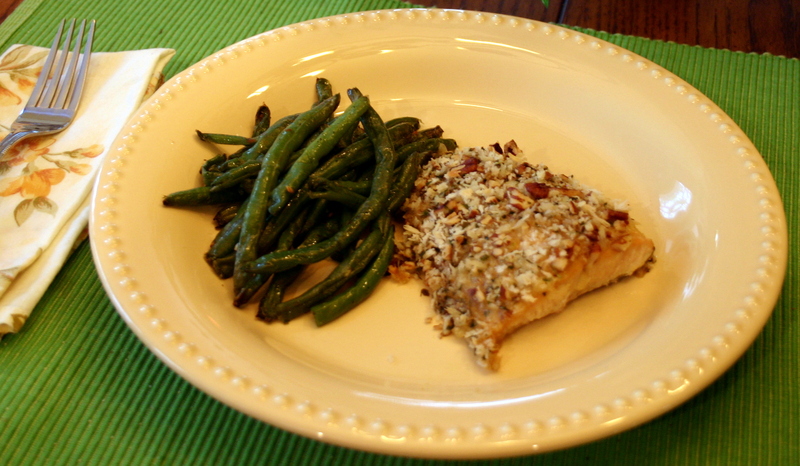 One recipe that I come back to again and again is Baked Dijon Salmon by Angela of Oh She Glows. 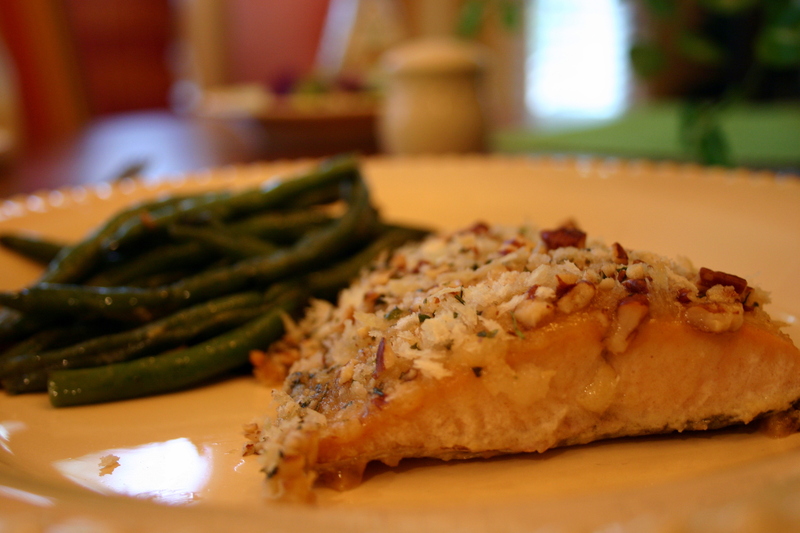 It is one of the best salmon recipes I’ve ever found, and I’m sure that I’ll continue making it for years to come. Aside from the taste, one of the perks of this recipe is that it doesn’t leave a fishy smell lingering in the house. I wouldn’t make a perfume out of it or anything, but it actually makes the house smell pretty good. 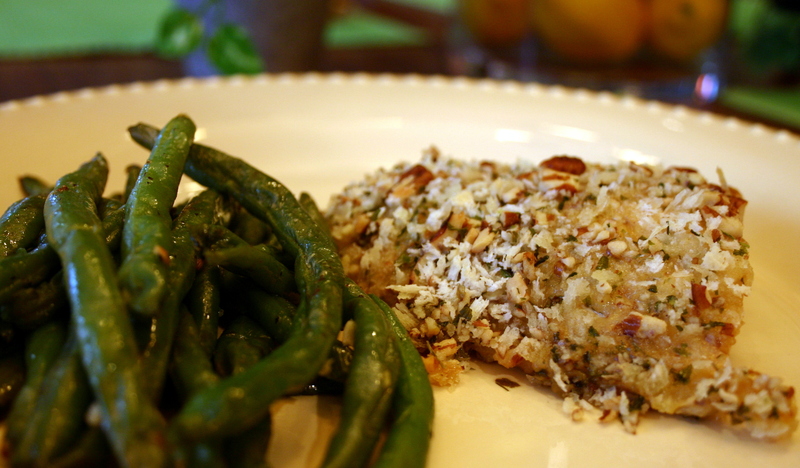 The only change I made to the original recipe was using Panko bread crumbs rather than regular bread crumbs. I also halved the recipe since I was only cooking for Michael and me. 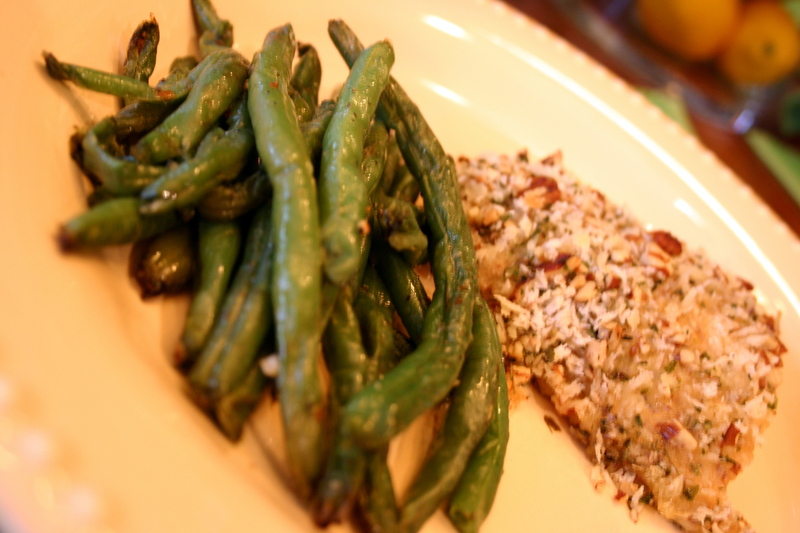 While the salmon was baking in the upper oven, I had green beans roasting in the lower oven. *I actually used Garlic Gold Oil because I believe you can never have too much garlic. 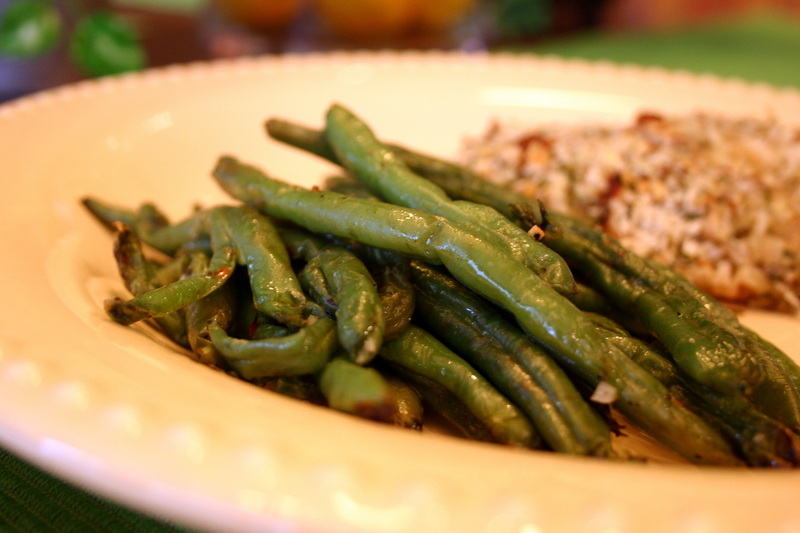 Preheat oven to 425 degrees F. Toss the green beans in a large bowl with all other ingredients. Transfer to a baking dish. Roast until golden brown (approximately 18-20 minutes). Transfer to a platter and serve. For even more veggies, we also had side salads. Another good night of eating for the Turners! Are there any dishes that you make again and again? Recipes and links are welcome! *** If you haven’t already done so, remember to enter my Follow Your Heart giveaway! I’m available for dinner most nights if you feeling making this for me sometime… 😉 Looks delicious!! I’ve never tried that recipe, but it looks really good!